Corporate eLearning / Soft Skills Training: How To Make eLearning Work For Enhancing Soft Skills? Keen to learn soft skills? Here is how can you use eLearning for soft skills training and enhance your top soft skills in no time. When designing learning experiences, how important is it to distinguish between soft skills and hard skills? It is very critical. The strategies required to transfer hard skills such as procedural and technical knowledge can be very different from the knowledge needed to develop soft skills. Soft skills involve intrapersonal and interpersonal communication. There are many questions that remain unanswered when it comes to using eLearning for soft skills training. Going further, first let us understand the basic meaning of soft skills. The abilities required at workplace that hold importance for professional success: Soft skills are needed to work productively, communicate, and cooperate. Customer service, sales, leadership, time management, team management, interviewing, and mentoring are some examples of soft skills required in a corporate. What Difficulties Do Organizations Face In Soft Skills Training? Millennial workers need to be more proficient in soft skills more than ever. However, a number of organizations feel that the proper knowledge of soft skills remains absent in the majority of the employees, which hinders their success. Training is difficult, as learning is open ended, cannot be measured or rewarded, and skills are needed to be developed rather than learned. Also, at times people have abhorrence towards soft skills training. Especially the ones who have been working for a long time are resistant towards changing the ways things are done. Soft skills training needs time, energy, and attention as it is not science. It is a set of skills that develops with constant practice. Not being measurable makes it difficult to draft a proper soft skills training process. It might be difficult to measure the effectiveness of any training regarding soft skills, but it is very important to demonstrate results with metrics. Making your training measurable not only improves the design of learning, but also provides results that can actually make a difference. Hence, whenever you are designing a plan or course for learning soft skills, put a clear and measurable goal. For that you would first need to identify key performance indicators that need perfection. Increase in sales of a specific product line. Reduction in dissatisfied customers who received technical support. Reduction in time spent in meetings. Increase in satisfaction of new employees in first three months. Increase in number of times that managers provide positive feedback. Reduction in staff turnover rates. Keeping a track of these indicators enables you to see which soft skills are being used at the job and whether the training programs are beneficial or not. 2. Integrate eLearning into the work environment. Online learning is mostly designed in isolation, in a closed room that lets you have complete concentration. 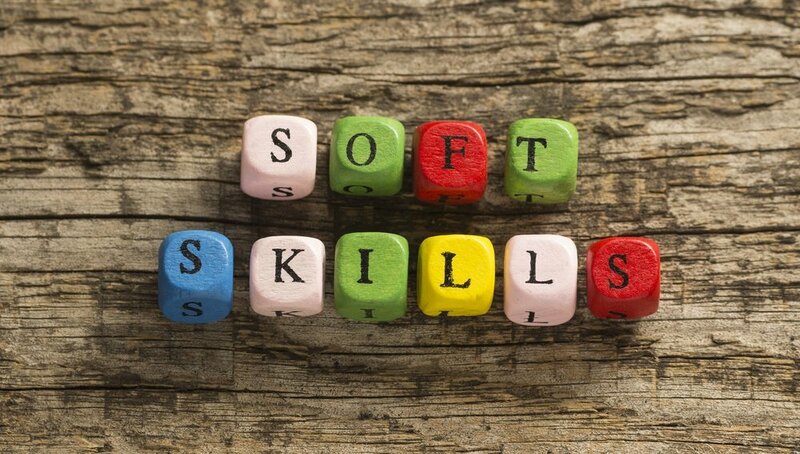 On the contrary, when it comes to soft skills, the competencies required in soft skills relate to improving communication with others largely. Hence, eLearning solutions for soft skills should be well integrated with the corporates needs, an individual’s career growth, and the needs of the team. eLearning processes should never be at the back hand. In fact it should be a blended strategy that means more interpolation is needed. Also include feedback after every module; it helps in designing better training processes in the future. eLearning courses are the most effective, cost saving and easy ways to learn a skill. Using eLearning tools effectively is what businesses need for an effective learning program. 3. Follow the single concept learning approach. Single concept learning or the thin slicing founded by Stephen Meyer states that due to short attention spans, each eLearning involvement should include a single topic at a time. This holds true for any stream in which eLearning is involved. For example, an eLearning module on career guidance can cover a vast number of topics but for effective learning should stick to one. Open a conversation in a way that prompts open-mindedness. Gain respect for your own views. Diagnose another person’s needs and problems by listening effectively and asking good questions. Demonstrate respect for other person’s views. Raise the conversation up the intellectual and emotional ladder in a way that the other person is able to follow you.